Minneapolis Adopts 100 Percent Renewable Energy Goal: Minneapolis approved a resolution that pledges to achieve 100% renewable electricity for municipal facilities and operations by 2022 and city-wide by 2030. Portland OR Video on Climate Action: Portland OR recently released a video on their progress on climate action. Toronto Receives Funding for Low Carbon Projects: Toronto received $52 million CAN from the province for 10 low carbon projects that accelerate the implementation of TransformTO, the city's climate action plan. Fort Collins Is On Track to Meet Climate Target: Fort Collins announced that their carbon emissions in 2017 were 17% lower than 2005 levels, which puts the city on track to meet their 2020 GHG reduction goal. 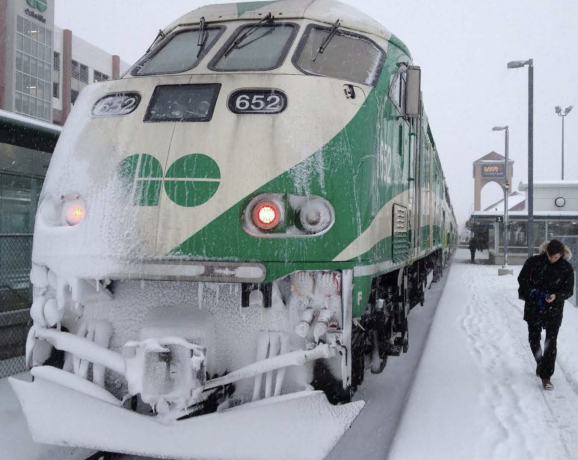 Metrolink Climate Resilience Strategy: Metrolink, a public transportation agency in Ontario, released their climate resilience strategy. Portland OR Releases 2018-2020 Strategic Plan: Portland OR published their 2018-2020 strategic plan that establishes a pathway for their initiatives to move forward in key areas, such as low-carbon built environment and waste reduction, by aligning resources and actions with partners and focusing on equitable engagement and development. Partners for Places Equity Pilot Products: Partners for Places supported a series of equity pilot projects in 2016. Projects supporting incorporating equity into sustainability in Baltimore, Knoxville, Las Cruces, and Providence recently concluded. Cincinnati Adopts Green Plan: Cincinnati adopted the 2018 Green Cincinnati Plan that focuses on sustainability, equity, and resilience through 80 high impact strategies to reduce their carbon emissions 80% by 2050, with a particular focus on energy, food, transportation, and waste systems. Five USDN Communities Receive Partners for Places Grants: USDN members Edmonton, Honolulu, Indianapolis, Los Angeles County, and Miami received Partners for Places grants for various projects, including developing a resilience strategy, public engagement, writing a climate plan, and more. Washington DC Released Sustainability Progress Report: Washington DC released their sustainability report that shared accomplishments in equity and diversity, energy efficiency, active transportation, LEED Platinum recognition, and more. Tacoma Released Annual Environmental Action Plan Progress Report: Tacoma completed its second annual Environmental Action Plan Progress Report that shared its targets in building and energy, transportation, materials management, and more. Bellevue Certified as 4-STAR Sustainable Community: Bellevue was certified as a 4-STAR Sustainable Community, excelling particularly in STAR's Built Environment goal area for the city's parks and park acreage, bringing the total number of USDN members certified by STAR to 41.